Dr. Anais Nadal is a licensed psychologist in the state of Florida who completed her doctorate degree (Psy.D.) in Clinical Psychology with a concentration in Child and Adolescent Psychology at The Chicago School of Professional Psychology in Chicago, IL. Dr. Nadal’s specialties include working with children and adolescents experiencing adjustment issues, such as separations and divorces, behavioral problems, limited social skills, low self-esteem, anxiety, poor academic achievement issues, and other psychological concerns. She has significant experience in psychoeducational, developmental, emotional, and personality assessments that are used to appropriately diagnose individuals experiencing academic, social, or developmental difficulties. As well as working with children and families, Dr. Nadal has experience providing therapy services to adults and couples dealing with various issues, such as depression, anxiety, bipolar disorder, infidelity, and substance abuse. In addition to the private practice setting, Dr. Nadal has practiced in schools, psychiatric hospitals, and partial hospitalization programs. 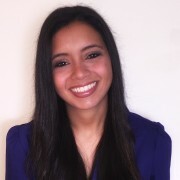 She takes an active and collaborative approach with the individuals and families that she works with, utilizing behavioral, interpersonal, and cognitive-behavioral therapy techniques. Dr. Anais Nadal assures to provide her clients with a safe, nonjudgmental, and supportive environment in order to help them overcome obstacles and develop effective coping mechanisms to cope with additional psychological stressors. In order to establish positive and consistent change, Dr. Nadal tailors her treatment approach to each individual client while staying current with evidence-based practices. To arrange an appointment or to discuss any of the services provided by Dr. Anais Nadal please contact Miami Psychology Group.